One of the biggest complaints our customers have about buying equipment is having to deal with leasing agencies that are insensitive to their business needs or functions. 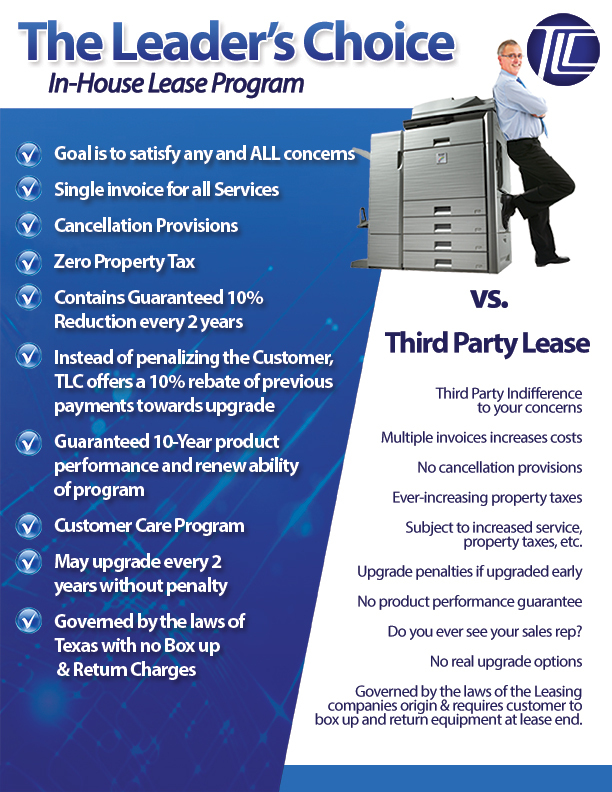 TLC created a financing solution, our own in-house leasing option called “The Leader’s Choice”. The Leader’s Choice program has great benefits including: single invoice for all services, cancellation provisions, zero property tax, a guaranteed 10% reduction every 2 years and much, much more.